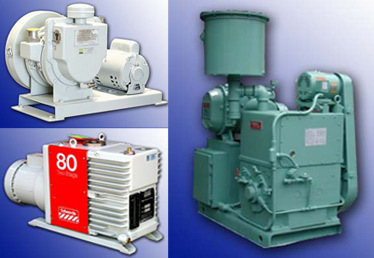 YTI is a fully equipped service, remanufacturing and repair center for nearly every model and type of vacuum pump. Our expert staff offers you the highest quality job in the best turnaround possible for new installations, preventive maintenance or emergency service. YTI can provide this quality and speed of service via our staff of fully trained service engineers and our complete in-house machine shop. YTI offers a full line of spare parts for most vacuum pumps and a variety of rebuilt pumps available at very competitive prices. Please call for a full description of our services to meet your specific needs.